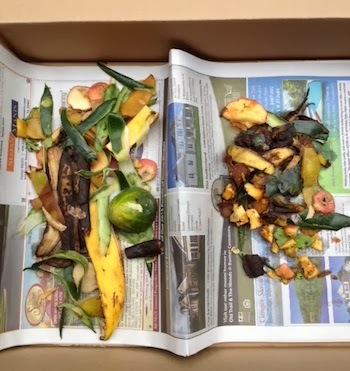 Composting is not just a trendy 'gardening' activity; in many municipalities across the country it will soon be mandatory in order to reduce our over-filled landfills. It's astonishing to learn that the largest component in our landfills is food, accounting for nearly 50% of all municipal waste. There is more food in landfills than diapers, styrofoam and tires and although food decomposes by itself in nature, not so in landfills which are layered deep and saturated with water. Since no oxygen can penetrate, our biodegradable waste will remain embalmed for centuries to come. The Green Cycler, an award winning pre-composting appliance is the first ever food scrap shredder and pre-composting system designed to make it easy for families to compost. 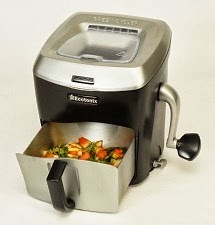 A hand operated countertop unit, the Green Cycler has a self-contained shredding cartridge that easily turns kitchen waste into pre-compost. Designed to shred waste into the perfect size, it speeds up the composting process by 10 times, so your kitchen scraps turn into 'black gold' much faster. According to UC Berkeley, shredding is "the key to successful composting." You can win a Green Cycler and take the 7 Day Compost Challenge like Renae Chiovaro, who chronicled her challenge with photos of shredded and non-shredded food waste. 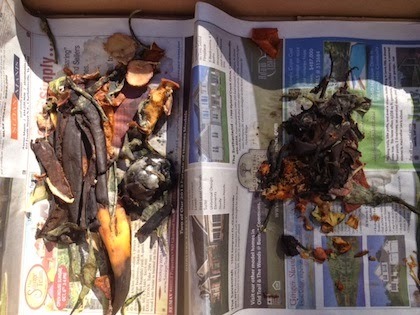 The comparison is remarkable and clearly demonstrates how quickly waste that is shredded correctly decomposes for composting. 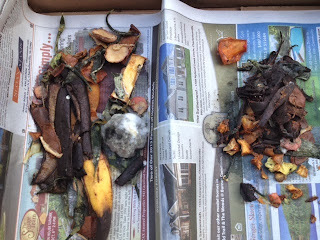 Check out these photos with the Green Cycler waste on the right. Clearly, the shredded waste by the Green Cycler wins hands down for getting the job done more quickly and efficiently. Adding your 'browns' and 'greens' to your food waste with a 30-1 carbon-to-nitrogen ratio is the perfect combination to achieve rich, organic soil for your lawn, garden and containers. So why compost? Because it keeps landfills lighter, it feeds plants, kids dig it, it lowers carbon footprints, it's free and better than chemical fertilizers, it lowers water bills, and reduces methane from landfills. You can win a Green Cycler at How To Have It All, deadline October 31st, or visit the Green Cycler Facebook page and the Green Cycler Pinterest page for monthly giveaways. Get cranking and become better stewards of the earth, or at least your own back yard....happy composting!